We have the ability to do incredible things but only with a constant input of work. Isaiah, today's featured street style individual, is a young man of many talents. The two most important ones are drawing and martial arts. From the age of nine to twelve, Isaiah practiced martial arts with Bruce Lee as a heavy influence. Although once he reached twelve, he became impressed with the skill, power, agility, and speed that professional boxers possessed. In turn, he began to box instead and after two years began to dabble in competitions, but due to financial issues at his gym, it soon shut down temporarily stopping boxing for Isaiah. Four years later and Isaiah is making his return to the sport. Of course during the few years gap, the young boxer practiced on his own time to keep himself sharp, but now he's fully committed, spending 4-6 hours each day in training and balancing that with school work. 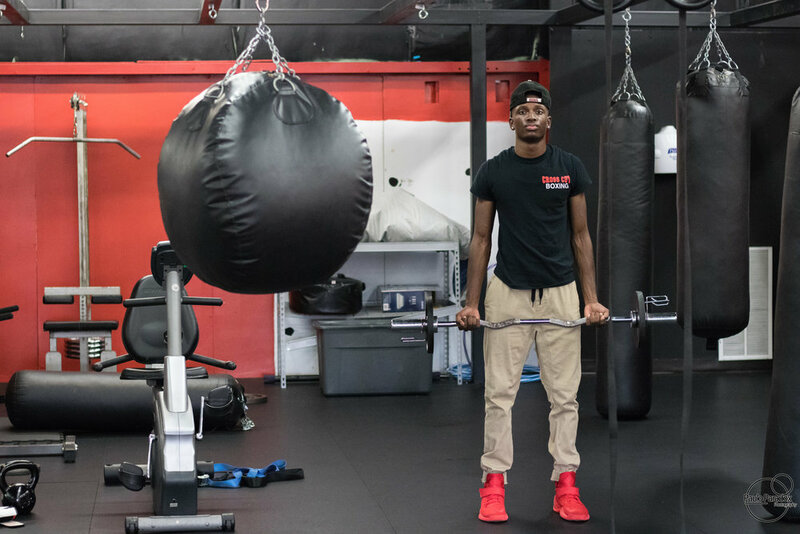 You can find Isaiah at the awesome Cross Cut Gym located in Matawan, New Jersey, a truly great place to learn the ropes or perfect your boxing skills. While training, Isaiah also finds a lot of inspiration from contemporary boxers such as Manny Pacquiao and Floyd Mayweather. These men have been pioneers of the sport in modern times and have most importantly brought the attention to the lighter weight classes of boxing expanding its appeal to a broader audience. By February, Isaiah plans to compete in the realm of boxing again and bring pride back to his home town. His true aspirations are in winning the famous Golden Glove Championship, the dream of amateur boxers and a path way to huge recognition. Hundreds of fighters participate, and Isaiah has an immense faith in his abilities. This is the opportunity he has been waiting for where his continuous pain, suffering, time, and work can be paid off. Isaiah gives a lot of praise to God too who has given him many blessings especially athletically. Truly, Isaiah serves as a magnificent pillar of passion and perseverance and anxiously awaits proving himself in the ring. Today's September into October fashion is a bit of a mashup infusing some elements of fall street style with some sports themed apparel. At the top, Isaiah is wearing a black Rutgers hat to represent one of New Jersey's primary state schools. His shirt is a short sleeve graphic tee courtesy of his gym, Cross Cut Boxing. For the pants, Isaiah has on a pair of men's tan jogger pants which transition into Nike's Red Kwazis. Overall, he has a very appealing and simple look with neutral tones that really bring out the red accents. Of course, this young boxer can fight, but he has a great sense of style too for today's fall fashion inspiration! Make this outfit above: Nike's, Joggers, Graphic Tee, Hat (Best Online Match). Visit Cross Cut Boxing on Route 34 in Matawan, NJ.